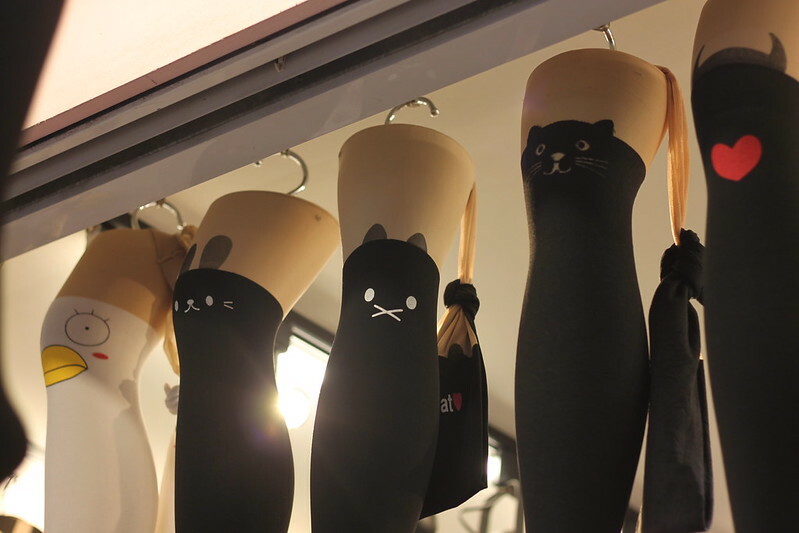 Today I come to talk about tights, because when you think that in the world of tights everything is seen and invented, always can appear another element that surprises you. In Taiwan, many girls like to show off legs, even when it starts to get cold. Tights become an indispensable complement either with shorts or skirt. 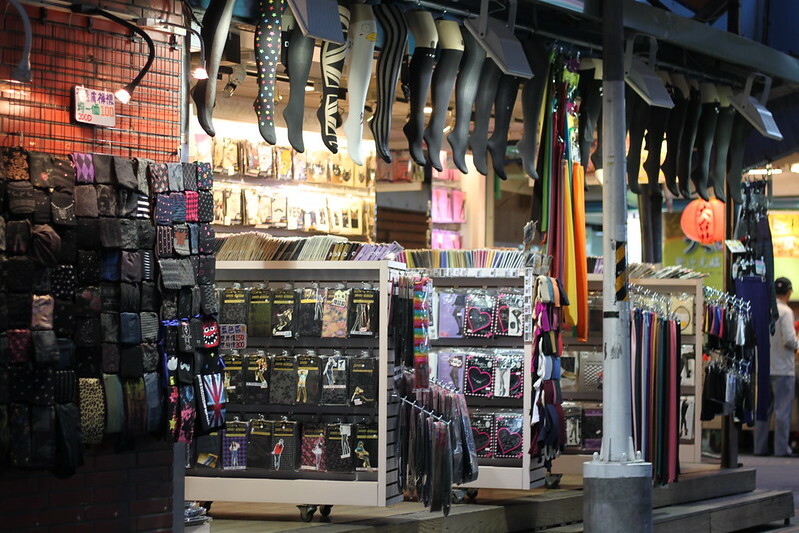 It’s easy to find shops specializing in tights, socks and others, both in malls and night markets, and with very affordable prices and various offers. 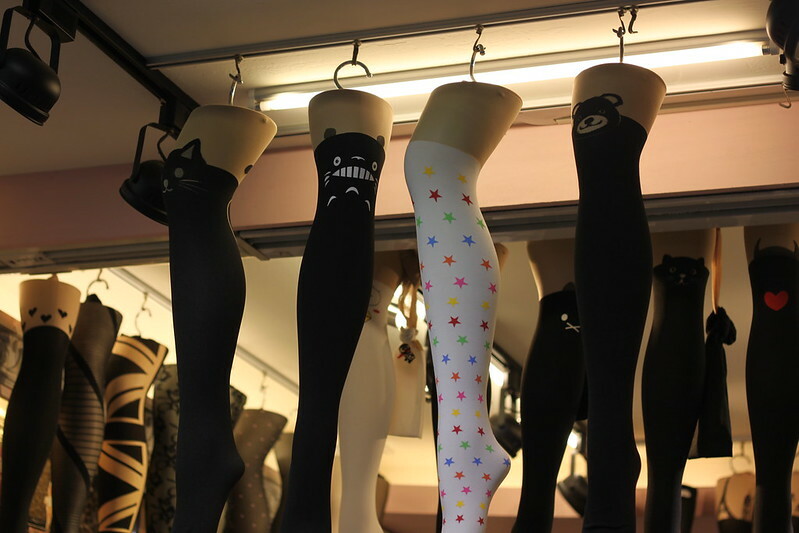 One of the latest trends seen on the street is a type of tight that simulates the effect of wearing knee socks, a typical image of schoolgirls. But there is not only the “normal” black and transparent model, but an infinite variety to choose from. From whole prints (stars, skeleton) to detail only in the part where the black and the transparent bind: the most common are cats, bears and hearts, but we can also find skulls, angry birds and even iconic buildings in the world. What do you think? 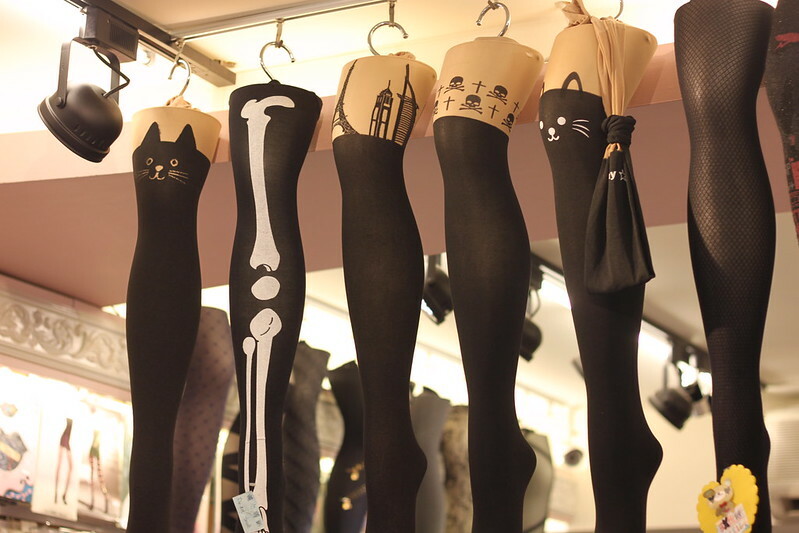 I’ve been looking at sites of Spanish stores to see if they offer this type of tights, but I think it is still not very common. But don’t worry, I’m sure that this trend will arrive soon. Meanwhile there are videos on Youtube about how to make your own using old socks, such as this one. I love my tights, but I love to switch to leggings when it gets colder.